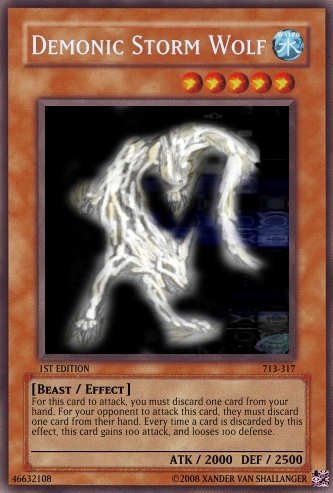 Melnagia's effect: This card may not be normal summoned or set. 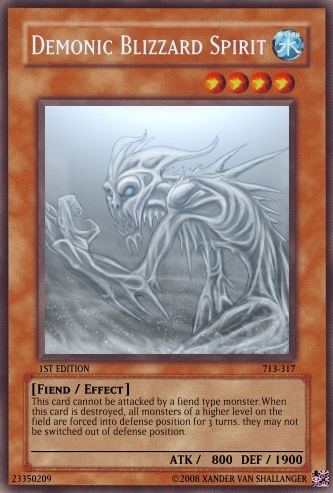 This card may only be special summoned by tributing 3 fiend type monsters. The tributed monsters are removed from play. Every time this monster destroys another monster, the other monster is removed from play. 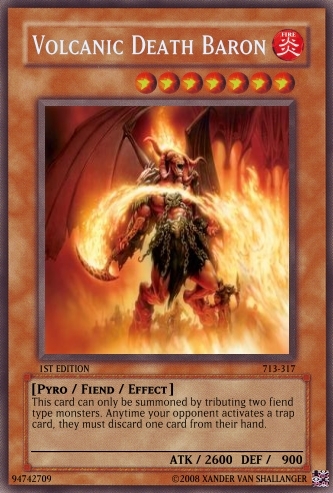 This card cannot be destroyed by the effect of a spell, trap, or monster. 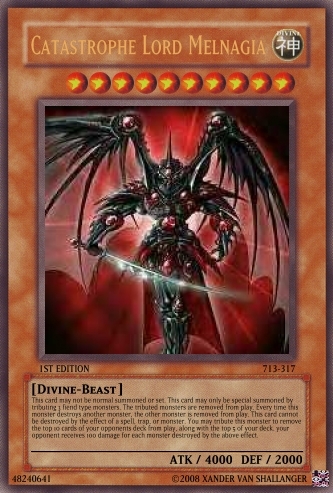 You may tribute this monster to remove the top 10 cards of your opponents deck from play, along with the top 5 of your deck. 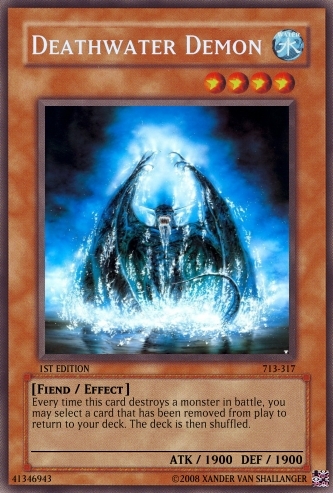 your opponent receives 100 damage for each monster destroyed by the above effect.